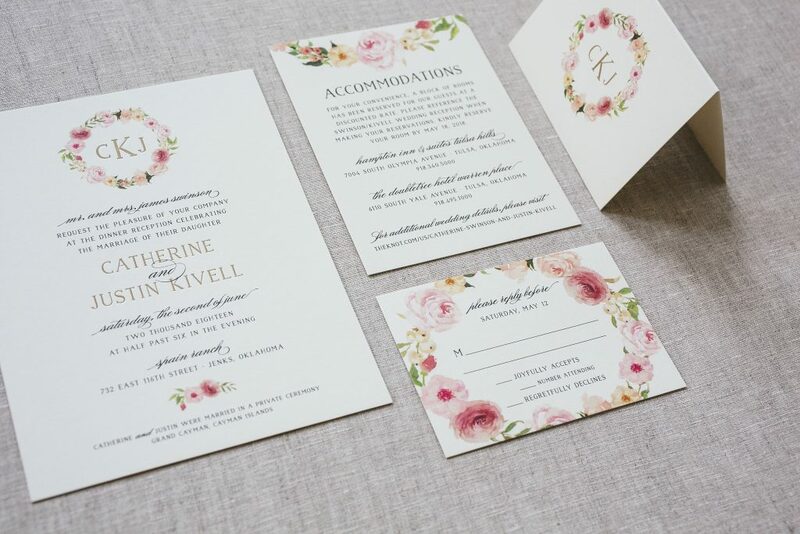 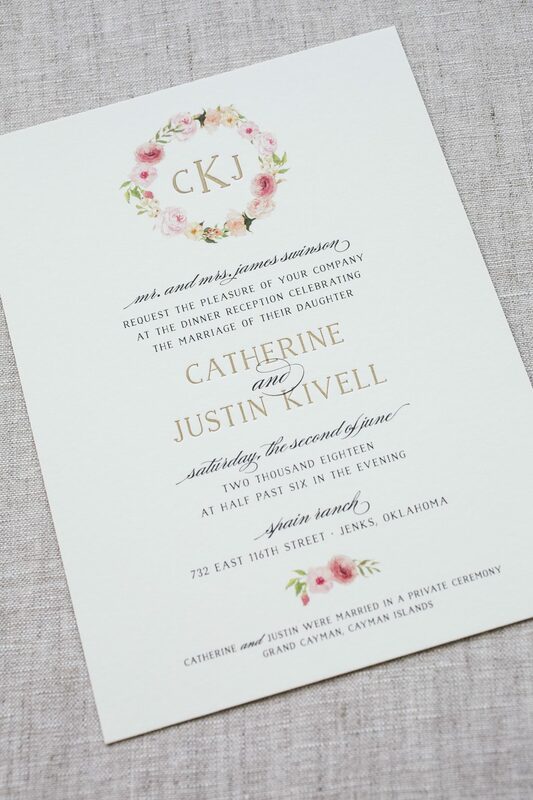 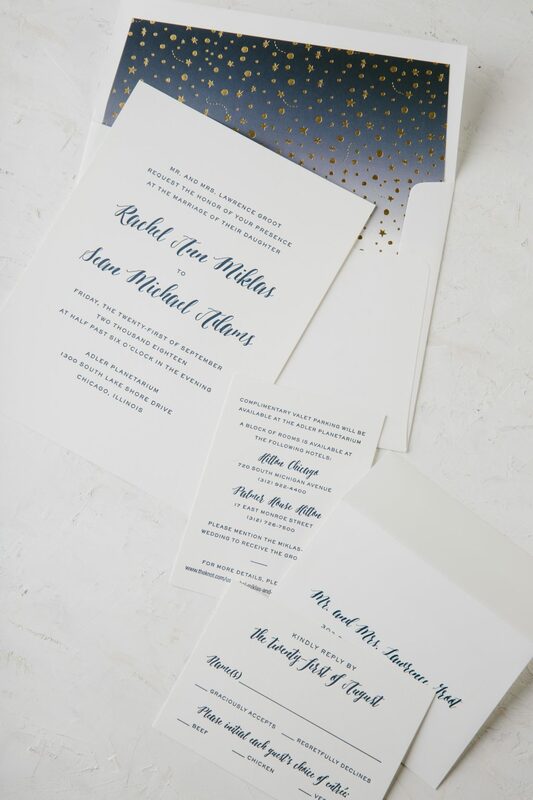 Rachel and Sean worked with Magnificent Milestones who helped us create these navy letterpress wedding invitations. 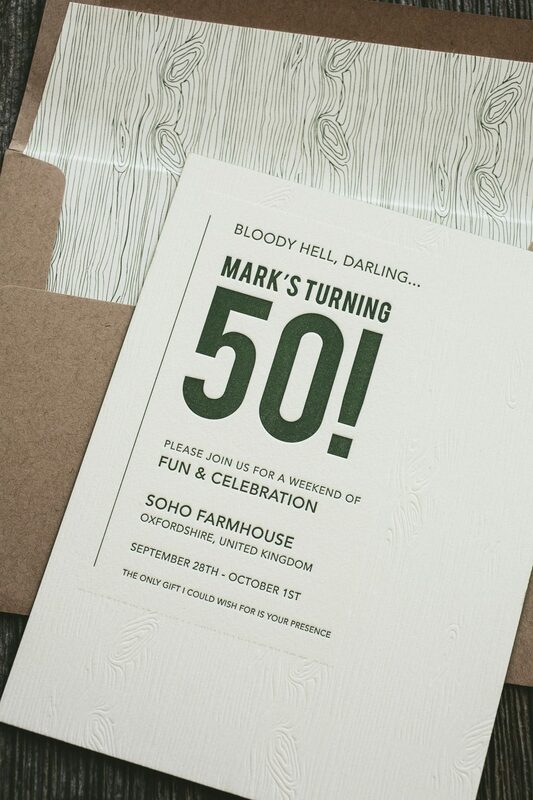 A modern script font played up a more simple typed based layout. 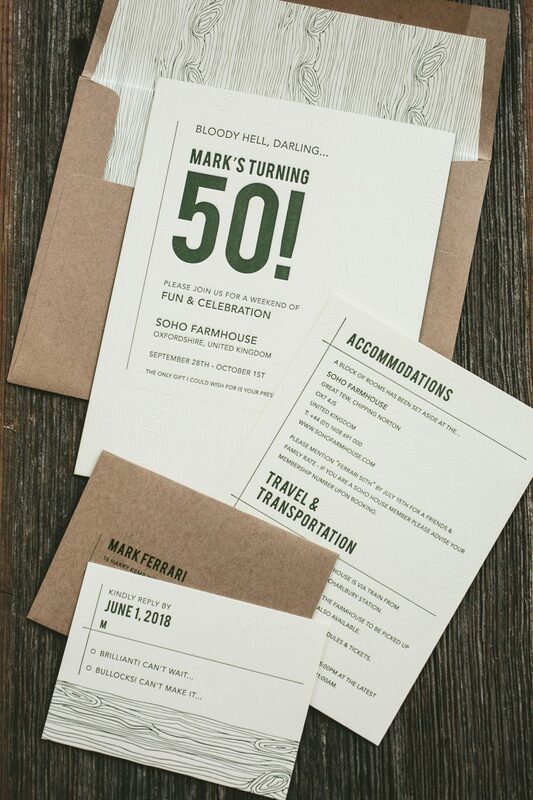 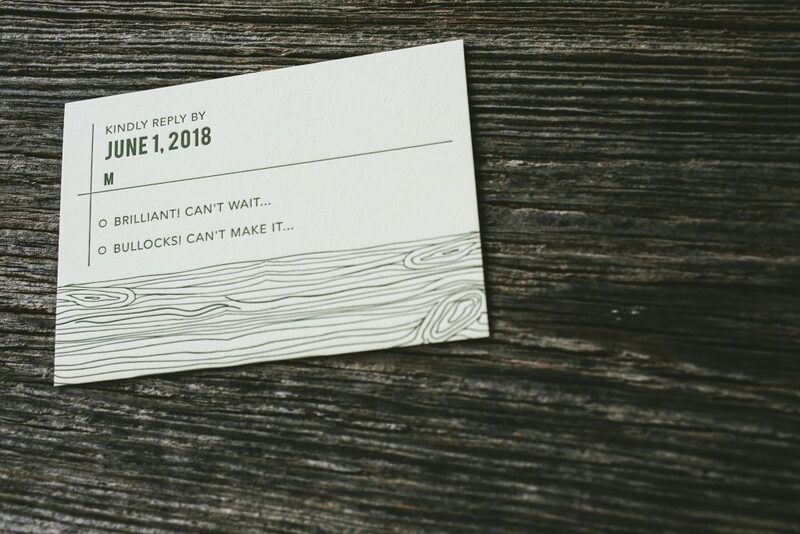 The reply set, as well as the accommodations cards printed in Navy, kept consistent with the invitation. 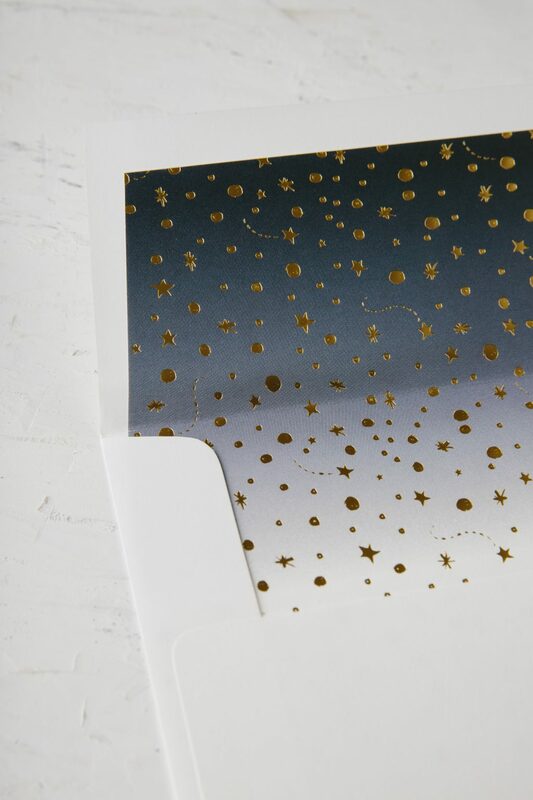 Inspired by our Astral design, this set took elements from the original design and used those on the envelope liner. 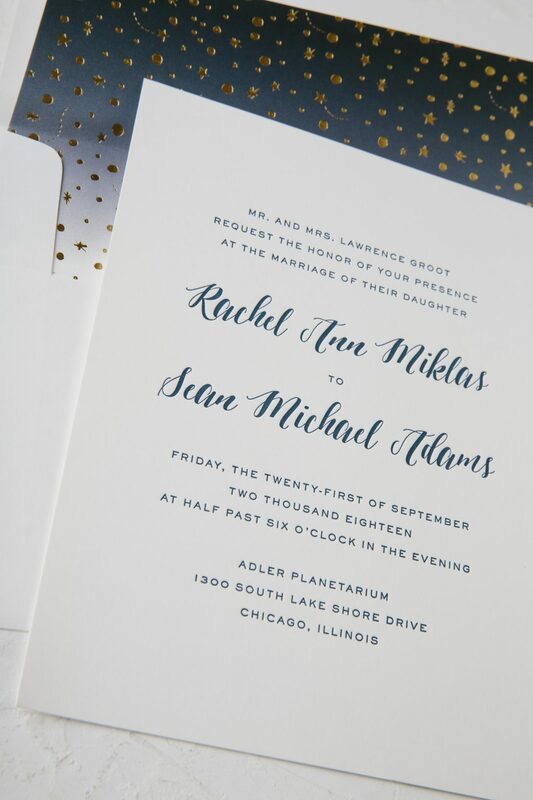 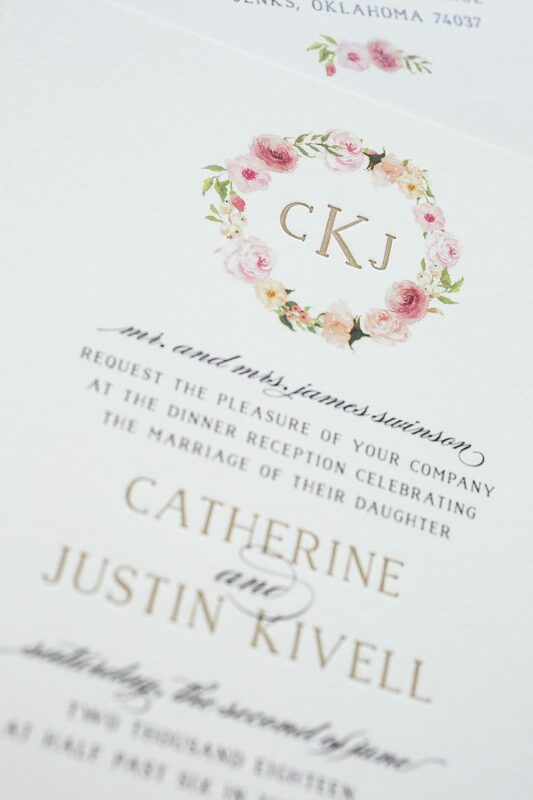 Finally, this custom liner printed with an ombre fade allowed the gold matte foil pattern to pop overtop.